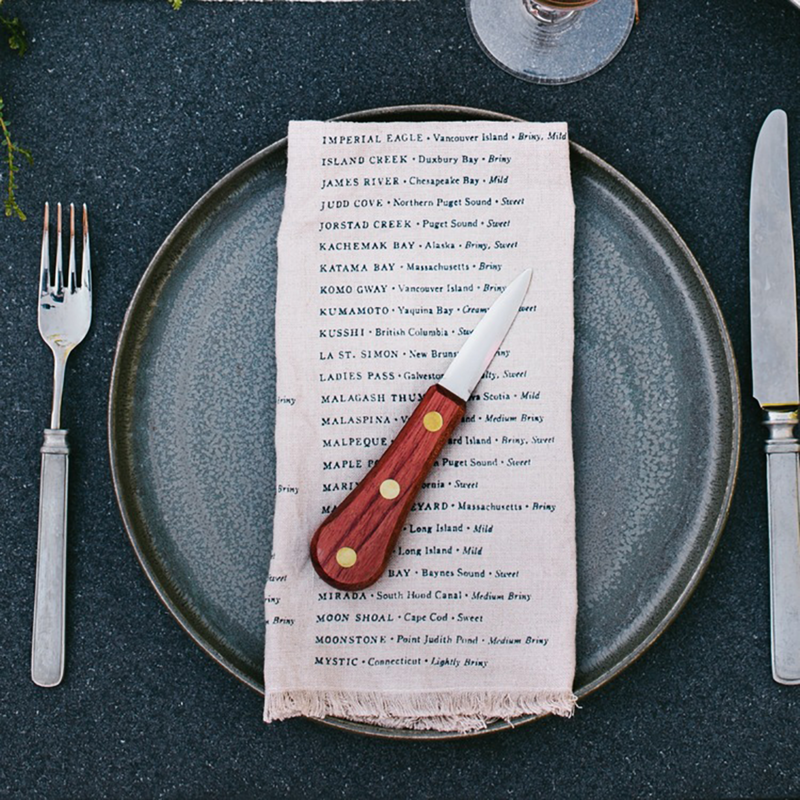 Seafood lovers will say “Aw, shucks” when presented with the Sir | Madam Oyster Napkin Set, comprised of four linen napkins cataloging North American oysters, their geographical location and their flavor. You’ve likely had Malpeque and Wellfleet oysters, the briny beauties from Prince Edward Island and Cape Cod Bay, respectively, but have you slurped a Poppasquash? These soft, gently frayed napkins suit both rustic and elegant tables and are sure to spark great conversation with your foodie friends. Pair them with a Murphy Oyster Knife (from $16). Napkins: $88. Available at westontable.com. Two’s Company's bundle of dish towels paired with a wooden pie server are a homey and feel-good package to bring to your next fete. 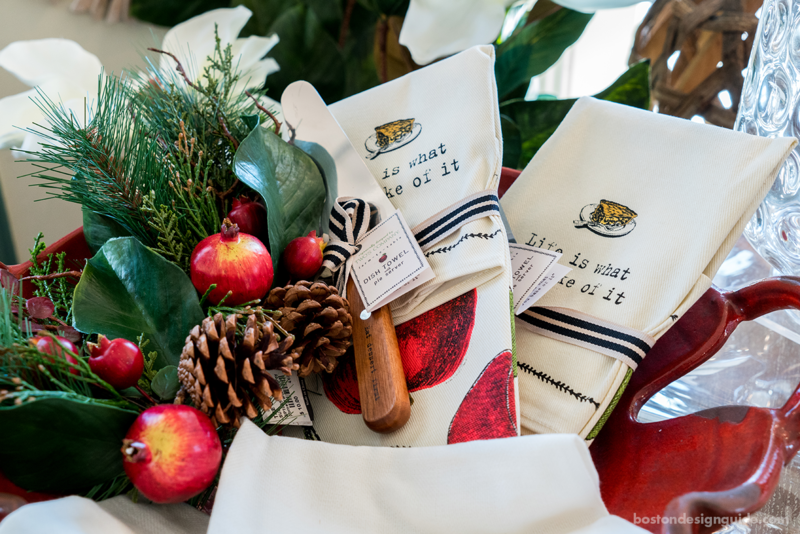 Available in the heart of Concord at The Cottage, the cotton towels read, “Life is what you bake of it,” alongside three designs of pie slices (pumpkin, apple and cranberry). The accompanying wooden pie server is emblazoned with the mantra “Eat Dessert First,” which is particularly apt this time of year. Available at The Cottage, Concord. 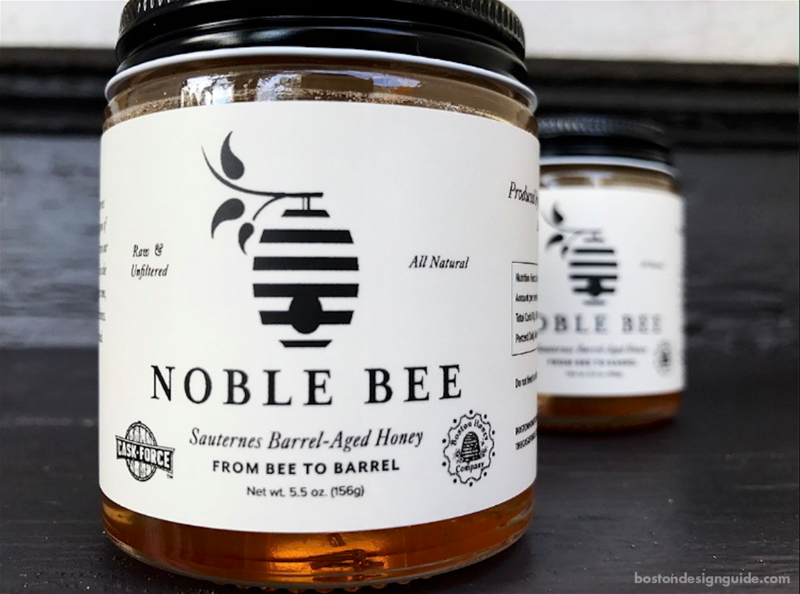 Even the hostess with the mostest won’t yet have Noble Bee’s Sauterne-based honey—it’s the world’s first. Cask Force, “a forward-thinking whiskey and spirit negociant,” created a complex wine-finished honey by filling a Sauterne cask from Bordeaux with Massachusetts Wildflower Honey from Boston Honey Company and aging it to peak flavor. Cheese boards everywhere rejoice; this nectar complements cheeses that pair well with honey and with wine. $25. Available at Post Road Liquors in Wayland, Room680nline.com, Wasik's Cheese Shop in Wellesley, and Olives & Grace in the South End. Other bundles don’t hold a candle to Farmhouse Pottery’s charming wheel-thrown Balsam Match striker. The Vermont potter’s fun little ivory tree has a portion designed with open clay, making it easy to strike that match. Cap off the stoneware vessel with green-tipped matches. $48. Available at Didrik’s in Newton Lower Falls and in their new Belmont store. 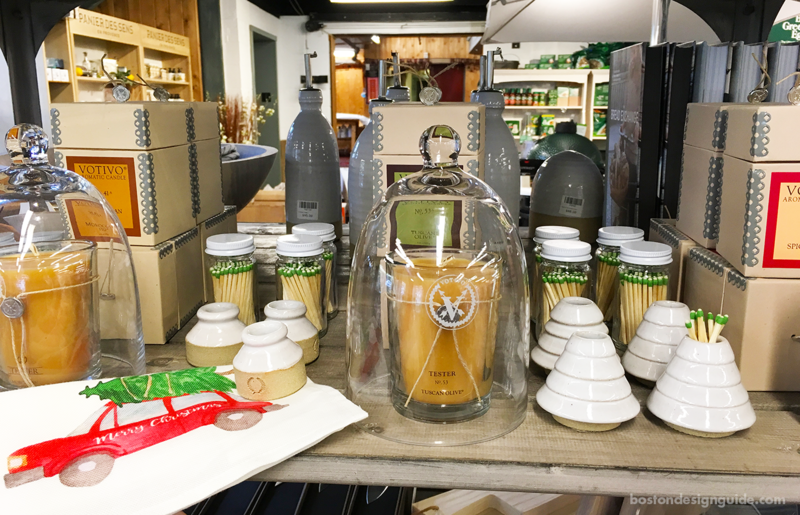 Speaking of holding a candle, The Cassidy Gallery at Jackson Village, which showcases fine art and craft by New England artists, carries a Trio of Luminaria in Citrus Colors by PoppleStone Press of Downeast Maine. To achieve this bright and inspired constellation, the artist creates paste paper by hand, gives it texture with faux-finishing tools and expertly folds the stars origami-style. 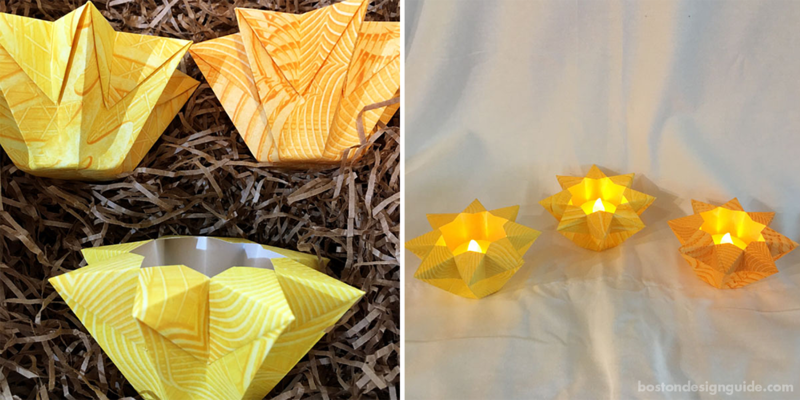 Each piece measures 4 x 2 inches, and comes with a flameless (thank goodness!) candle. $60, available at The Cassidy Gallery. 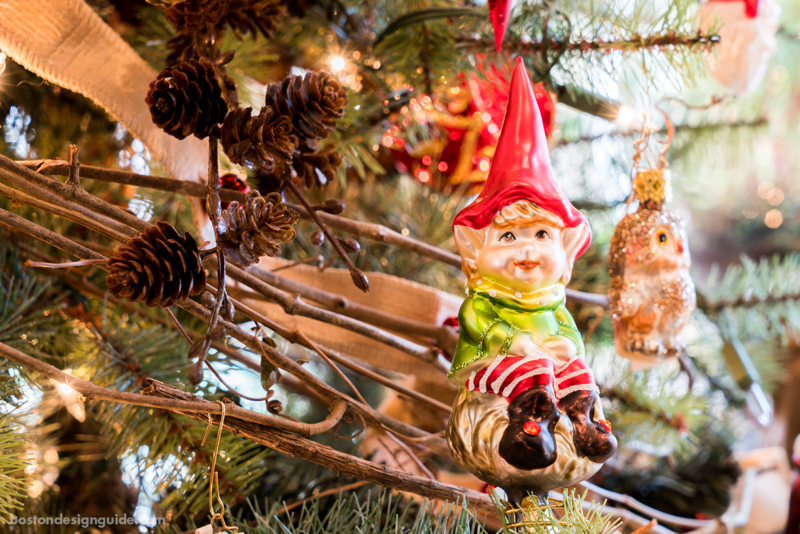 A handmade glass ornament is always a festive token for a holiday party, and Lincoln’s Stonegate Gardens has an array of dazzlers that hail from Germany. 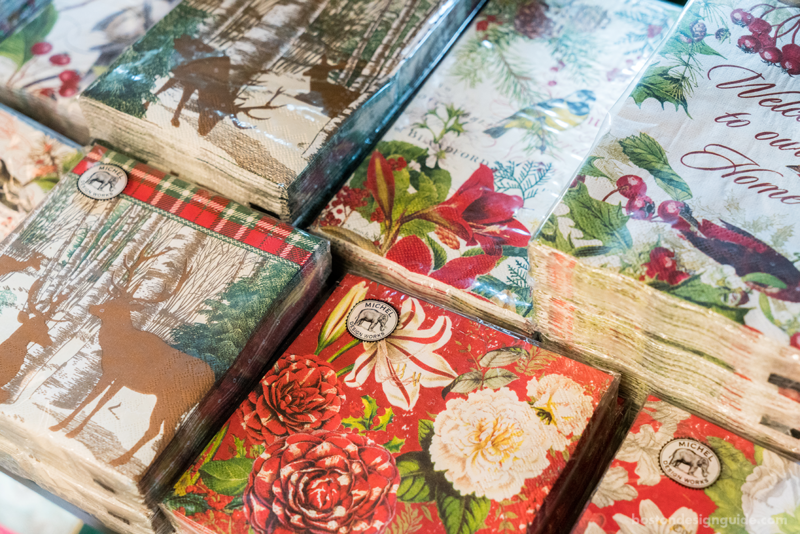 Present one wrapped around cocktail or dinner napkins with a seasonal theme—we loved the selection in Gerard’s (also in Lincoln)—the combo makes a lovely little tiding of joy. 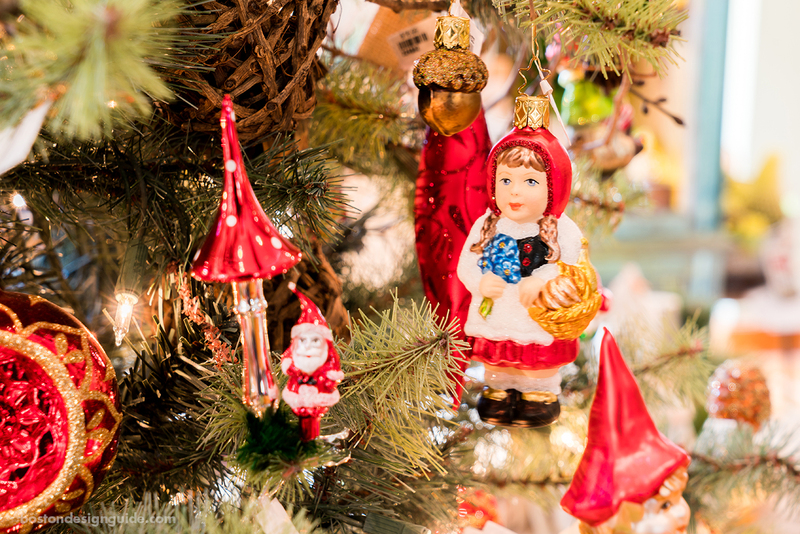 Ornaments $19-54, available at Stonegate Gardens.